One of the most fantastic treatises on Christ ever written. Owen brings you into the riches of Christ’s glory very quickly and for a prolonged period of time – something we all need constantly. Banner of Truth Trust, Carlisle, PA: 1993. One of the best books I have ever read is this volume by Owen. The reason is because it is not only theological, but extremely practical and helpful for growth in piety. Here is the Lord in all his glory and excellency expounded for the Christian. It is a work which combines 2 treatises, 2 catechisms, and a biography of Owen (being the first volume of his 16 volume set of Works). In Owen’s Meditations and Discourses on the Glory of Christ he expounds the wonderful glory of the Savior. How is Jesus Christ glorious to us? He is glorious as the only representative of God to the church, in the constitution of His person, in his exaltation, in the accomplishment of his work as Mediator, in the recapitulation of all things in Him and more. He expounds how we are to see the glory of Christ in this life by faith, so that in the next we will see Him by sight. Then he takes all he has taught us and applies it to our souls. A most excellent work – one which brings the Christian closer to Christ. 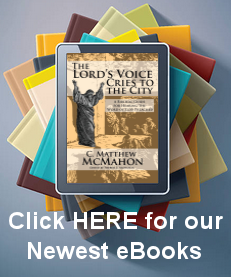 There is no Christian who would be able to read this volume and not come into a greater and more powerful relationship with the nature of Christ’s exceedingly excellent person and glory.